The Trilogy Wellness team developed its facility as one of the first safe, compliant havens for patients to access effective cannabis medicine. 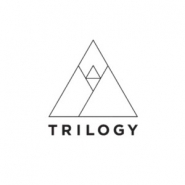 Trilogy Wellness caregivers offer a personalized and educational resource of care for every cannabis customer. The staff undergoes regular educational training to offer the most up-to-date research and medical cannabis information. Safe inside Trilogy Wellness’ dispensary, medical cannabis patients enjoy tailored guidance and respectful care at every step of the healing process. We proudly offer a 22% discount for all Veterans, and a 10% discount for all Senior Citizens and SSDI.